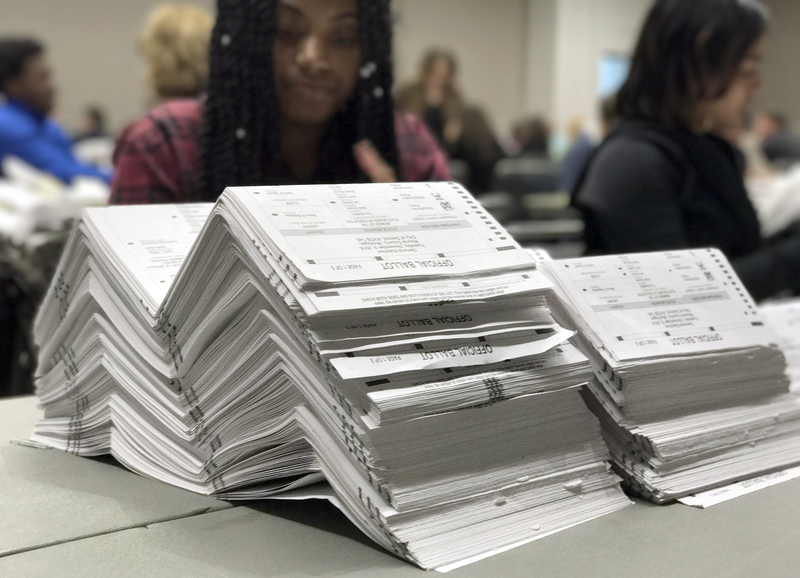 A federal appeals court upheld a law passed by the Republican-dominated Legislature in 2016 that banned straight-ticket voting in Michigan. In a 2-1 decision late Wednesday morning, the U.S. 6th Circuit Court of Appeals suspended a lower court’s ruling that lifted the ban. In effect, voters won’t have the option in November of voting for all candidates from one party with one mark on the ballot. In August, U.S. District Court Gershwin Drain ruled that banning the practice would disenfranchise black voters who disproportionately vote with a straight ticket. The option also alleviates long lines in precincts where voters often wait hours to cast a ballot, Drain had ruled. But the appeals court said Drain’s claims aren’t a legal justification to reject the Legislature’s law. The GOP-controlled Michigan Legislature approved bills to increase the state’s minimum wage to $12 an hour and require paid sick leave. But the bills, backed by many businesses and approved by the Senate and House, were denounced by many Democrats because the legislation prevents the public from voting on related ballot measures in November. The passage of the bills was intended to make it easier for Republicans to weaken the measures later this year. If voters supported the ballot measures, it would be more difficult for Republicans to change. Mark Brewer, an attorney for the One Fair Wage ballot committee, pledge to sue if Republican lawmakers dilute the bills. A man who spent 16 years behind bars for a double murder he says he did not commit will soon be freed and grand a new trial. Mubarez Ahmed was convicted of second-degree murder in the shooting deaths of two people in February 2001 at the intersection of Kirkwood and Lumley streets in Detroit. The Michigan Innocence Project has insisted for nine years that Ahmed was wrongly convicted because the case was based on one witness who later recanted her story. Judge Vonda Evans on Wednesday granted Ahmed’s release pending a second trial. Motor City Muckraker is an independent watchdog without advertisements. Your donations help us to continue providing vigorous, nonpartisan investigations.